Adriana is a quilter and natural dye enthusiast. Her quilts focus on reducing waste by melding vintage materials with naturally dyed linens to create one of a kind handcrafted pieces. She chooses to work in ways that favor the slower natural process over mass-production. 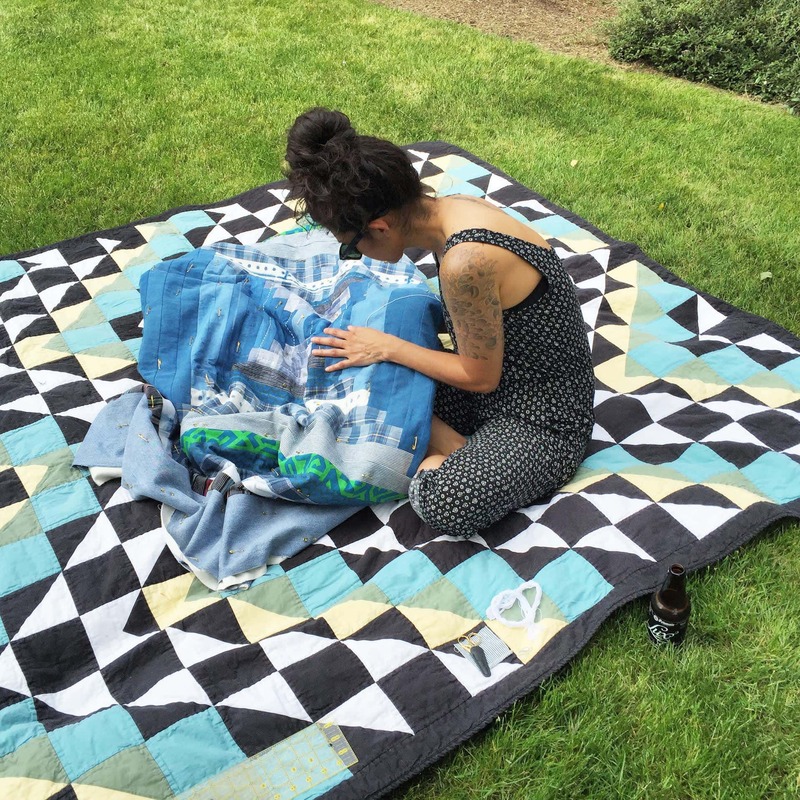 With over 10 years of experience as an apparel designer, she brings a love of design, color and process with her as she explores the world of quilt making. She is inspired by the history and symbolism of traditional patchwork but infuses her own clean modern aesthetic into her work. She is a lover of all things vintage and thru the years has collected vintage textiles which she also incorporates in her quilts, making them truly one of a kind pieces. Her most recent experiment is with natural dyes. She loves the natural dye process because it allows her to slow down and reconnect with nature.